One Last Severe Weather Curve Ball From Mother Nature. Photos Are Courtesy Of Jennifer Coasts. 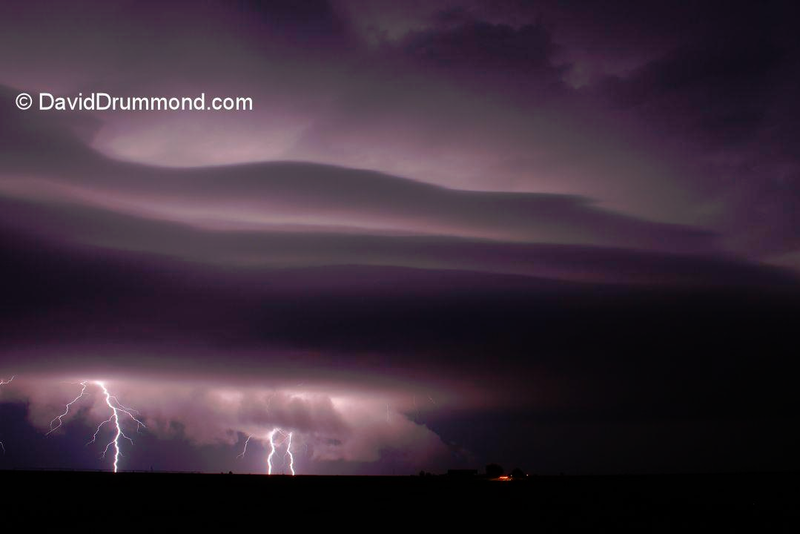 Supercell Thunderstorm Near Dexter, NM Last Night. Supercell Thunderstorm With A Wall Cloud Near Artesia, NM. Tornadoes Form Sometimes From These Low Hanging Clouds. Top Two Photos Courtesy Of Jennifer Coats. 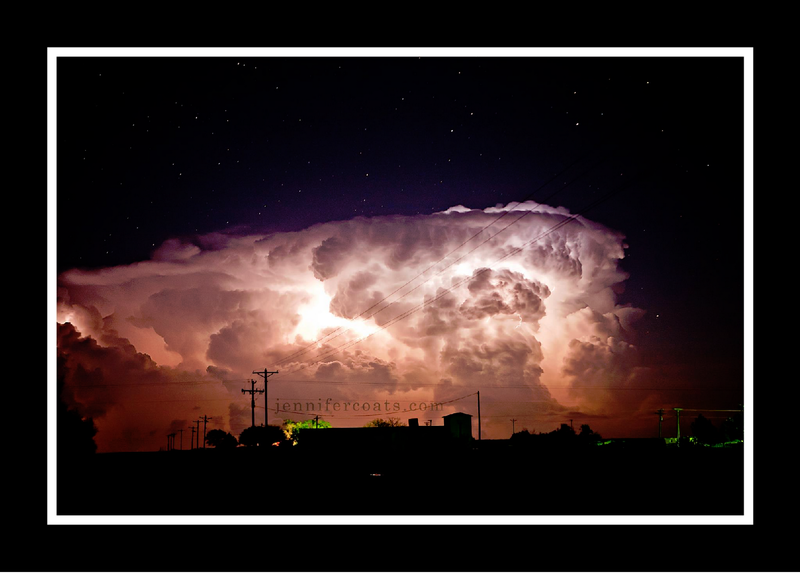 He Shot This Photo West Of Lovington, NM Last NIght. 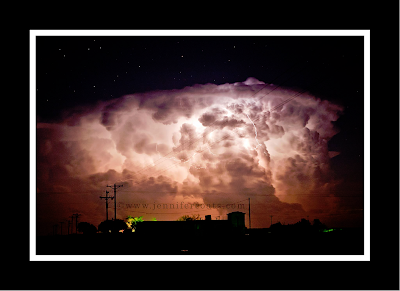 From Downtown Carlsbad, NM Last Night. Photo Is Courtesy Of Emily Ficker. Watch that was in effect until 1 AM Saturday morning. Mother nature decided to throw one last severe weather curve ball at us yesterday. 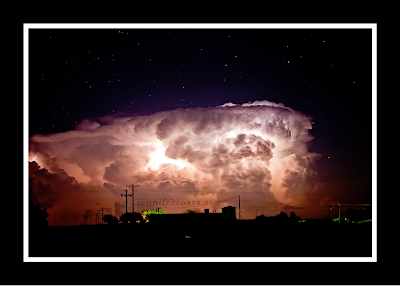 Severe thunderstorms broke out across the southeastern plains yesterday afternoon southwest of Carlsbad, and continued well into the night as they moved northeastward. Several storm chasers showed up to chase our storms including Brandon Sullivan, and David Drummond. Backing up a little to early Friday morning, we were able to get conformation of baseball size hail in the Cottonwood area near the junction of US Hwy 285 and the Lake Arthur Hwy (State Rd #2) around 2 AM. Damage to homes, roofs, and vehicles was reported all the way north to the Eddy County and Chaves County line. Dime to penny size hail fell in Carlsbad around 4:30 PM MDT, with quarter size hail reported at the Otis Volunteer Fire Department at 4:37 PM. Numerous reports of nickel size hail were received from Atoka northward to Artesia a little while later. 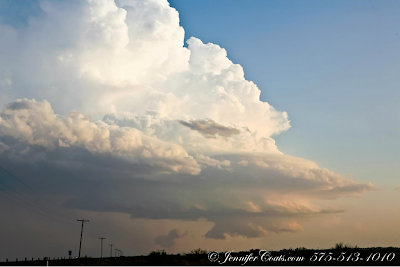 Supercell thunderstorms exploded as they moved northeastward out of the Pecos Valley and onto the Caprock. 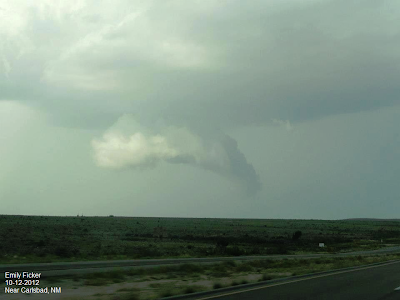 Several reports of funnel clouds and tornadoes were received between Tatum and Lovington last night. These were observed by the public, storm spotters, and storm chasers. 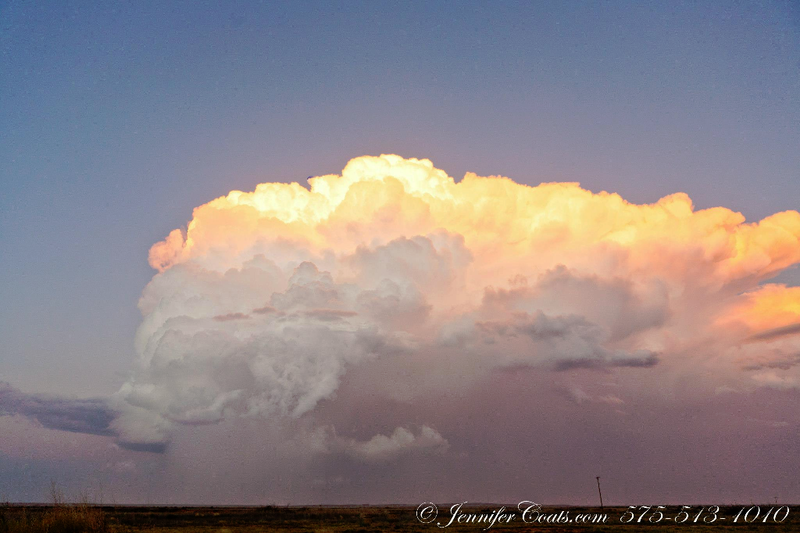 Additional severe thunderstorms developed over portions or northern New Mexico yesterday afternoon.